Configured as a family (Z-120 was an all in one model, with self-contained monitor), the Z-110 (called the low profile model) was similar in size to the cabinet of an IBM PC, XT, or AT, but a bit shorter, and configured with a raised cabinet molding on the top surface within which one placed one's display monitor, designed to keep it from sliding off to either side or back. Both models had a built in keyboard that was tactically and in appearance modeled on an IBM Selectric typewriter, the premier office machine of the day. The keyboard had a wonderful "feel" and "stroke action" that Byte Magazine columnist and fiction author Jerry Pournelle raved about in several columns. H/Z-100 - This system was a hybrid 8-bit & 16-bit system. It contained both an Intel 8085 (8-bit) and an Intel 8088 (16-bit) processor. This could be considered the last 8-bit system that Heath/ZDS built. It was superior to the IBM PC in many ways, but did not have the marketing clout of IBM. It could run CP/M-80, CP/M-86, and Z-DOS operating systems. Brief specifications of the Z-100 series is: a S-100 or IEEE-696 standard motherboard backplane but with on-board dual processor (8088 and 8085) and memory (256K or 768Kbytes), and "daughterboard" video (32K or 64K of RGB color or monochrome). S-100 cards from Heath included a floppy disk controller, additional memory, a hard drive controller, 4-port serial card. These systems were bought by the US military for training, and a number of universities bought them or required them for students. Both systems contain a six-slot S-100 motherboard with integrated I/O, memory, and dual 8088 and 8085 processors, along with up to 768K of memory. The 6-slot bus typically held a floppy controller card a hard disk controller card, and other cards. The floppy controller was standard and could support both 5.25 inch drives internally, and 8-inch floppy diskette drives externally. 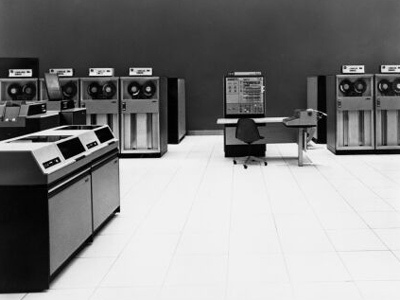 The IBM System/360 (S/360) was a mainframe computer system family announced by IBM on April 7, 1964, and delivered between 1965 and 1978. It was the first family of computers designed to cover the complete range of applications, from small to large, both commercial and scientific. The design made a clear distinction between architecture and implementation, allowing IBM to release a suite of compatible designs at different prices. All but the most expensive systems used microcode to implement the instruction set, which featured 8-bit byte addressing and binary, decimal and floating-point calculations. The slowest System/360 models announced in 1964 ranged in speed from 0.0018 to 0.034 MIPS the fastest models were approximately 50 times as fast with 8 kB and up to 8 MB of internal main memory, though the latter was unusual, and up to 8 megabytes of slower Large Core Storage (LCS). A large system might have as little as 256 kB of main storage, but 512 kB, 768 kB or 1024 kB was more common. System/360 was extremely successful in the market, allowing customers to purchase a smaller system with the knowledge they would always be able to migrate upward if their needs grew, without reprogramming of application software or replacing peripheral devices. The design is considered by many to be one of the most successful computers in history, influencing computer design for years to come. The chief architect of System/360 was Gene Amdahl, and the project was managed by Fred Brooks, responsible to Chairman Thomas J. Watson Jr. The commercial release was piloted by another of Watson's lieutenants John R. Opel who managed the launch of IBM's System 360 mainframe family in 1964. 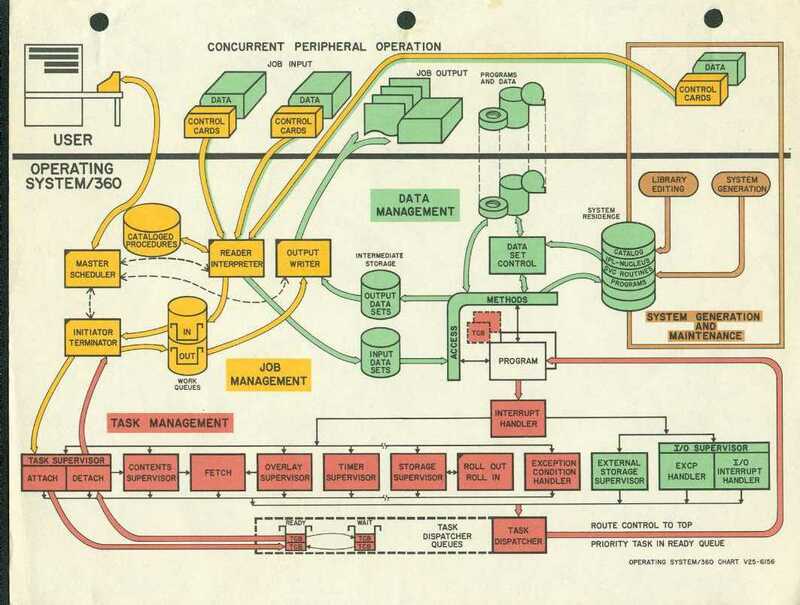 OS/360, officially known as IBM System/360 Operating System, was a batch processing operating system developed by IBM for their then-new System/360 mainframe computer, announced in 1964; it was heavily influenced by the earlier IBSYS/IBJOB and Input/Output Control System (IOCS) packages. 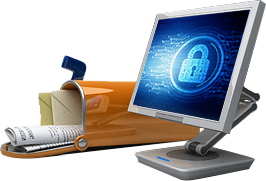 It was among the earliest operating systems to make direct access storage devices a prerequisite for their operation. Photo of men installing a supercomputerNCAR's Mesa Laboratory saw thousands of comings and goings in its first few years, but only one arrival needed a new room to accommodate it. 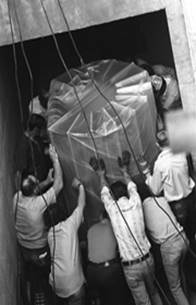 Workers gently lowered the first production model of the Cray-1 supercomputer which tipped the scales at 10,500 pounds (4.76 metric tons) into an underground expansion of NCAR's computing facility on 11 July 1977. In the understated words of Cray engineer Bill King, one of several self-dubbed Crayons on hand to smooth the way, We plugged it in and turned it on and it worked. Seymour Cray had designed NCAR's first two supercomputers, the Control Data 6600 and 7600, before launching his own firm. NCAR was the first center to purchase his company's debut machine, the Cray-1. With the help of newly designed integrated silicon chips, the Cray-1 boasted more memory (one megabyte) and more speed (80 million computations per second) than any other computer in the world. The Cray's bold look also set the machine apart. Its orange-and-black tower, curved to maximize cooling, was surrounded by a semicircle of padded seats dubbed an inverse conversation pit by one observer that hid the computer's power supplies. Scientists wasted no time putting the Cray to work. Within a year, NCAR's Peter Gilman had carried out pioneering simulations of the solar dynamo, including the Sun's rotation, its magnetic fields, and the zone of convection beneath its surface. Albert Semtner and William Holland explored the large-scale circulation of ocean basins. Newly detailed models of thunderstorms were produced by scientists from the University of Illinois at Urbana-Champaign. The HP 3000 series is a family of minicomputers released by Hewlett-Packard in 1972. It was designed to be the first minicomputer delivered with a full featured operating system with time-sharing. The first model of the 3000 were withdrawn from the market during 1973 until speed improvements and OS stability could be achieved. After its reintroduction in 1974, it ultimately became known as a reliable and powerful business system, one which regularly won HP business from companies using IBM's mainframes. 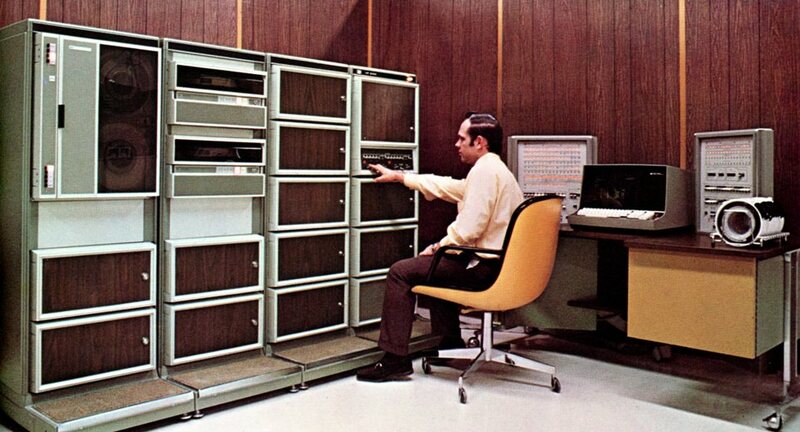 Early 3000 models had large cabinets with front panels, while later models were made that fit into desks using only terminal consoles for diagnostics, with bootstrap routines in ROM. By 1984 the system introduced its first model, the Mighty Mouse Series 37, which ran in offices without special cooling or flooring requirements. Models ranged from a system sometimes used by a single user, to models that supported over 2,000 users. The HP 3000 was one of the last proprietary minicomputer systems whose manufacture was curtailed by its vendor, outlasting the PDP-11-descended Digital Equipment Corporation VAX, which was acquired by Compaq and then ultimately by Hewlett-Packard. After almost 30 years, a five-year phase-out period for the now-named HP e3000 series servers was originally announced in November 2001. HP then extended this phase-out period twice. No more new e3000s are being sold by HP, although used systems continue to be sold for upgrades on a third-party reseller market. Support from HP to customers for the HP 3000 continued through Dec. 31, 2010. Many third party firms continue to support the system for customers throughout the world. 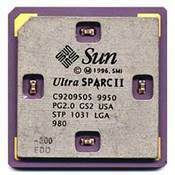 SPARC (from "scalable processor architecture") is a RISC instruction set architecture (ISA) developed by Sun Microsystems and introduced in mid-1987. SPARC is a registered trademark of SPARC International, Inc., an organization established in 1989 to promote the SPARC architecture, manage SPARC trademarks, and provide conformance testing. 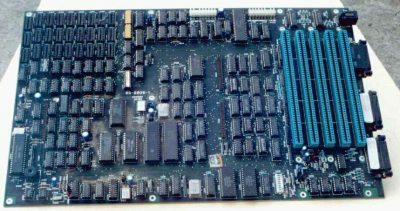 Implementations of the original 32-bit SPARC architecture were initially designed and used in Sun's Sun-4 workstation and server systems, replacing their earlier Sun-3 systems based on the Motorola 68000 family of processors. Later, SPARC processors were used in SMP and CC-NUMA servers produced by Sun Microsystems, Solbourne and Fujitsu, among others, and designed for 64-bit operation. SPARC International was intended to open the SPARC architecture to make a larger ecosystem for the design, which has been licensed to several manufacturers, including Texas Instruments, Atmel, Cypress Semiconductor, and Fujitsu. As a result of SPARC International, the SPARC architecture is fully open and non-proprietary. The SPARC family of microprocessors is a very good implementation of the RISC design and SPARC based computing devices cover a very wide spectrum of applications, from mainframe class computers to radhard microprocessors used by the aerospace industry in its space segment. SPARC based computers are usually very well engineered products, thus Linux on SPARC is a winning combination both in performance and ease of use. Actually this combination is not as widspread as the Linux/x86; this HOWTO should help you step by step to make an informed decision: try it you will not regret it. 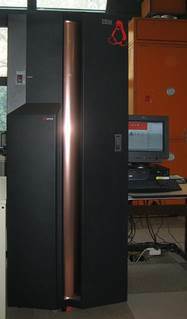 IBM System z is a family name used by IBM for all of its mainframe computers. In 2000, IBM renamed the existing System/390 to IBM eServer zSeries with the e depicted in IBM's red trademarked symbol, but because no specific machine names were changed for System/390, the zSeries in common use refers only to the z900 and z990 generations of mainframes. In April 2006, with another generation of products, the official family was changed to IBM System z, which now includes both older IBM eServer zSeries, the IBM System z9 models, the IBM System z10 models, and the newer IBM zEnterprise. The zSeries, System z and zEnterprise families were named for their availability stands for zero downtime. The systems are built with spare components capable of hot failovers to ensure continuous operations. The System z family maintains full backward compatibility. In effect, current systems are the direct, lineal descendants of System/360, announced in 1964, and the System/370 from 1970s. Many applications written for these systems can still run unmodified on the newest System z over four decades later. 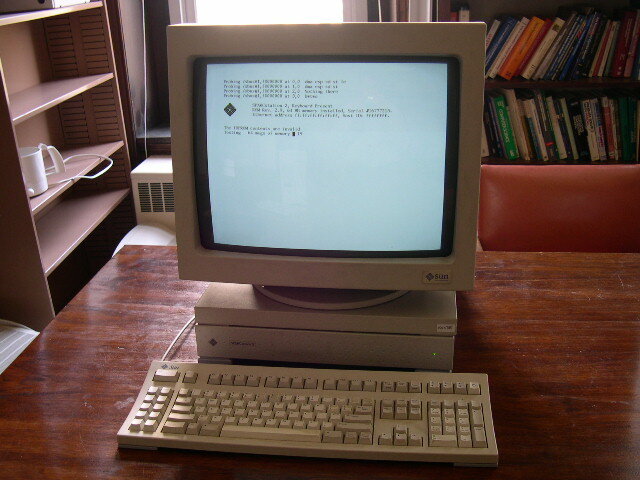 Earlier versions of HP-UX supported the HP Integral PC and HP 9000 Series 200, 300, and 400 computer systems based on the Motorola 68000 series of processors, as well as the HP 9000 Series 500 computers based on HP's proprietary FOCUS processor architecture. HP-UX was the first Unix to offer access control lists for file access permissions as an alternative to the standard Unix permissions system. 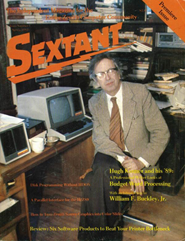 HP-UX was also among the first Unix systems to include a built-in logical volume manager. HP has had a long partnership with Veritas Software, and integrates VxFS as the primary file system. In 2008 HP-UX 11i was credited with leadership in integrated mission-critical virtualization, observed performance, high availability and manageability. The first HP 9000 models comprised the HP 9000 Series 200 and Series 500 ranges. These were rebadged existing models, the Series 200 including various Motorola 68000-based workstations such as the HP 9826 and HP 9836, and the Series 500 using HP's FOCUS microprocessor architecture introduced in the HP 9020 workstation. These were followed by the HP 9000 Series 300 and Series 400 workstations which also used 68k-series microprocessors. From the mid-1980s onwards, HP started to switch over to its own microprocessors based on its proprietary PA-RISC ISA, for the Series 600, 700, 800, and later lines. More recent models use either the PA-RISC or its successor, the HP/Intel IA-64 ISA. All of the HP 9000 line run various versions of the HP-UX operating system, except earlier Series 200 models, which ran standalone applications. HP released the Series 400, also known as the Apollo 400, after acquiring Apollo Computer in 1989. These models had the ability to run either HP-UX or Apollo's Domain/OS.